Dr. Gulinson completed his internship at the University of Texas Health Center of San Antonio, and then also completed his residency at the University of Texas Health Center of San Antonio. 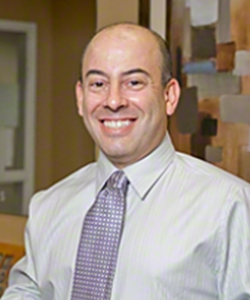 Dr. Gulinson has been recognized repeatedly for excellence with the Banner Health Systems Top Doc Award in 2003, 2004, 2005, 2006, and has his hospital affiliation with the Arrowhead Community Hospital, Banner Thunderbird, Union Hills Surgery Center. Dr. Gulinson has earned an outstanding and well-deserved reputation for excellence in women's healthcare. Board certified by the American Board of Obstetrics & Gynecology, Dr. Gulinson is a Fellow of the American College of Obstetricians and Gynecologists (FACOG) as well as an Affiliate of American Society of Cosmetic Surgeons, and is a Member of Maricopa Medical Society, a Member of the American Medical Association (AMA), a Member of the Phoenix OBGYN Society, the Laser Vaginal Rejuvenation Institute of America, the American Academy of Cosmetic Surgeons, and the American Academy of Cosmetic Gynecologists. Dr. Gulinson’s concern for the totality of women’s feminine health and his commitment to his own continuing education in this area include special training and certification from the Vaginal Rejuvenation Institute of America, Vaginal Rejuvenation, as well as Laser Reduction Labiaplasty and Hymenal reconstruction. Dr. Gulinson is above all committed to empowering women to enjoy their feminine quality of life to the optimal degree possible. Contact Dr. Gulinson to arrange for your complimentary consultation and learn more about how the vConfidence difference can help you to enjoy excellent feminine health for life.